Northamptonshire Health and Care Partnership’s vision is for a positive lifetime of health, wellbeing and care in our community. Through our Partnership Stories, you can find out more about the work we are doing together as health and care organisations across the county – and the people who are making these projects happen. Click on a story below to read more. 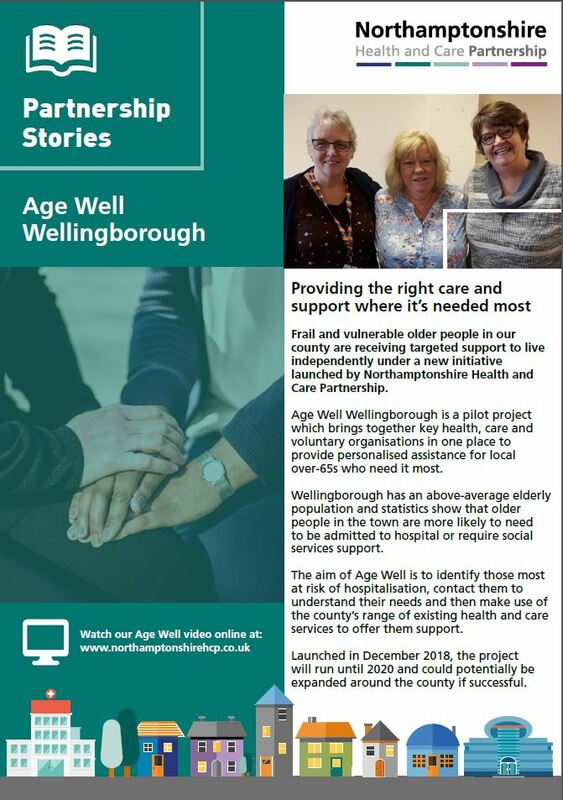 Watch our Age Well Wellingborough video here.